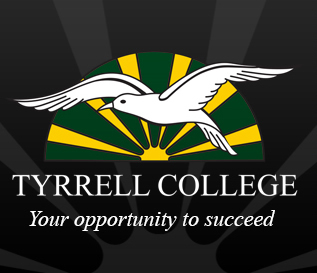 Career Development at Tyrrell College is an ongoing commitment with our students as they develop, evaluate and effectively initiate their career and educational goals. Vocational responsiveness is the basis of our service, with a goal to promote awareness, preparation and implementation of personal and professional goals. We help our students to engage in self-assessment, obtain occupational information and explore employment, internship and volunteer opportunities. We encourage students to present themselves effectively as candidates for employment, develop productive job search methods and explore options for furthering their education. By providing comprehensive resources, programs and counseling, we assist students make career and educational decisions, connect with employers and accomplish their life goals. The Careers & Pathways coordinator provides professional assistance and guidance to the whole student community at Tyrrell College through programs such as - VCE, VET, VCAL and Specialist Programs, Yr10 work Experience and Structured Work Place Learning - as well as all post-Secondary school options - including all university, TAFE and training options Australia-wide.